A beautiful smile gives you confidence and enhances your appearance. 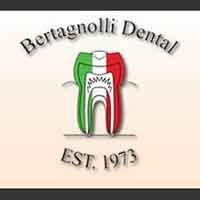 Bertagnolli Dental is committed to providing the most comprehensive dental care possible. From the minute you step into our cheery office you will instantly feel comfortable. If you are looking for a dentist in Westminster call our office today. We specialize in cosmetic and general dentistry for you and your family. As a dentist in Westminster we have a comprehensive list of restorative, general and cosmetic dental care services to meet the needs of your entire family. Some of the services we provide include teeth whitening, veneers, implants, dentures, crown, general check-ups/teeth cleaning and sedation dentistry. We also have an in-house lab to save you time and money. We take pride in offering personalized attention and a wide range of services using state of the art technology and techniques. When you are looking for a dentist in Westminster contact our office today.